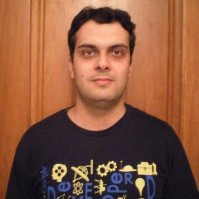 Technology explained – Technology blog from Alexandre Eleutério Santos Lourenço. Hi, dear readers! Welcome to my blog. A long time ago, I wrote a post about the actor model and how to use Akka to implement solutions using actors. If the reader doesn’t read the post, it can be found here. Now, more than 4 years later – how fast time goes! – it is time to revisit this world, with a much better understanding and maturity. At the time, I used good old Java to do the task. There’s nothing wrong with using Java, but if you really want to delve on Akka, then Scala is the language of choice, especially if we want to use Akka, a project specially tailored to develop data flows that could do tasks such as system integrations. With non-blocking IO and parallelism embedded at his core – and encouraged to be used on our custom code by following their good practices! – Akka streams allow us to develop really fast applications that can easily scale. From my personal experience, it is a specially good option for integrating with Apache Kafka. So, without further delay, let’s begin our journey! The actor model was already explained in my previous post so we won’t waste much time with this explanation. To sum it up, we have a system where actors work with each other asynchronously, creating a system where tasks are broken down on multiple steps by different actors, each one of them communicating by a personal queue (mailbox) that enqueues messages to be processed by the actors. This way, we have a scalable solution, where tasks are done in parallel. Actors are the core components of an actor system. An actor consists of a program unit that implements logic based on messages it receives from his mailbox. When developing Akka applications on Scala, an actor must implement a receive method, where will create logic for different types of messages it can receive. Each time a message arrives at the mailbox, the dispatcher delivers the message to the actor. It is important to notice it, however, that it is the actor which asks for the next message, as it completes processing the current message – by default, each actor process just one message a time -, this way avoiding an actor to be overloaded. This technique is called back-pressure, which we will talk more about it in the next sections. The actor system comprehends the whole actor solution. It is composed of actors, dispatchers, and mailboxes. Applications can have multiple actor systems inside. Also, it is possible to define actor systems to be linked together remotely, forming a cluster. Execution contexts, also known as dispatchers, are responsible for serving actors with messages by delivering the messages to the mailboxes. Dispatchers are also responsible for allocating the actors themselves, including details such as parallel actor execution, using strategies such as thread pools, for example. A dispatcher can be defined globally for the whole system or defined at actor level. An important note regarding performance with dispatchers is that they run the actors inside thinner layers that are memory-optimized, so memory consumption inside Akka solutions is lower than in traditional Java applications. One interesting thing to notice on actor instantiation is how Akka treats actor references. When asking for an actor to be created inside a system, Akka will create an actor reference, which can be used to send messages to it. These messages are sent using remote calls, even when the actor system is been used all locally. This guarantees that when using actor systems remotely, such as in a cluster, for example, there will be no difference in the code. Mailboxes are, like the name suggests, repositories to messages that it will be processed by actors. Mailboxes can have different strategies to treat messages, such as unbounded lists, single and multi-consumer, priority queues and more. When creating actors, we can create them at the system level or create them inside another actor. When creating inside an actor, we call the parent actor a Supervisor and the actors created inside are called Child Actors (when creating an actor at the system level, also known as Top-level Actors, they also are child actors, in this case from a reserved actor from Akka itself). Every actor has a lifecycle: it can be started, on which case is running, stopped when an unrecoverable failure occurs and restarted or resumed, depending on the circumstances of the failure. Supervisors are actors responsible for deciding for their child actors what to do when one of them faces a failure. It is possible to simply stop the actor, restart him, or resume (the main difference between restart and resume is that resources are freed on a restart, while on a resume the actor simply resumes his execution). These decisions are called Supervisor Policies. These policies can also be set to behavior as one-for-one or all-for-one, meaning that when an error occurs on one child actor, the policy will be applied to all actors bellow (for example, all actors would restart) or just to the failed actor. And that concludes our quick recap of Akka. Now, let’s begin our talk about Akka Stream. A stream is composed of tasks that must be done – continuously or not – in order to do a process. Each stream must have a Source, which is the beginning, a Flow composed of multiple tasks that can run at parallel depending on the needs and a Sink, which is the stream’s end. Akka Streams runs on top of Akka. That means when a stream is started, internally Akka Streams creates an actor system with actors responsible for running the tasks of the stream. The responsibility for doing this task is of the Actor Materializer, that creates (materializes) the resources need to run the stream. One interesting thing is that it is possible to explicitly define materializing points on our flow. These points are used by Akka streams to define points where it will group the tasks from the flow to run on separated actors, so it is a good technique to keep it in mind when doing stream tunning. Sources are flow’s beginnings. A source is used for defining an entrypoint for data, be a finite datasource, such as a file, to an infinite one, such as a Kafka topic, for example. It is possible to zip multiple source definitions on a single combined source for processing, but still, a flow can have only one source. Flows are the middle of the stream. One flow can have an infinite number of tasks (steps), that range from data transformation to enrichment by calling external resources. Sinks are flow’s endings. Analogous to sources, sinks can have multiple types of destinations, such as files, Kafka topics, REST endpoints, etc. Likewise the source, flows can also have only one sink. When modeling an Akka stream, as seen previously, we define a source, a sink and several flows in between. All of this generates a graph, where each node represents a task on the stream. When instantiating a stream, a runnable graph is created, which represents a blueprint for executions. After executing the stream with the run() method for example (there’s also a runWith(Sink) method that accepts a sink as a parameter) the runnable graph is materialized and executed. During our lab, we will see Graph Stages. Graph stages are like “boxes” that group tasks together, making them look like a single node in the final graph. One very important concept when learning about Akka streams is back-pressure. Typically, on a producer-consumer architecture, the producer will keep sending data to the consumer, without really knowing if the consumer is capable of keeping it up with the load or not. This can create a problem where a producer overloads a consumer, generating all kinds of errors and slowness. With back-pressure, this approach is reversed. Now, it is the consumer that dictates when to receive a new message, by pulling new data at his rhythm. while no new message is asked, the producer keeps waiting for a signal and only then it starts pushing messages again. Of course, just like with an actor system, streams also can fail. Just like with actors, error handling is also done with supervisors, that defines policies for a stream to resume, stop or restart depending on the error. Streams also support a recovery configuration, that allows us, for example, to chain another stream execution in case of error after several retries. The Alpakka project is an integration library composed of several components that allow us to quickly deploy integrations between several technologies, such as files, REST endpoints and even AWS technologies such as Amazon Kinesis. During the course of our lab, we will use resources from this project, so stay tuned for more! So, without further delay, let’s begin! This lab requires that the reader already have some knowledge of Scala and Akka. On my blog, it is possible to read my previous post on Akka, alongside my series about the Scala language. "org.slf4j" % "slf4j-api" % "1.7.25"
As can be seen above, not only we defined a sbt project, but also included dependencies for Akka and logging, alongside Akka Streams itself. We also added a packaging plugin to simplify our use when running the project from command-line. Our first version is very simple: It simply creates a new actor system. Of course, during our lab, it will receive more code to evolve to our final solution. This image is taken from Intellij, which I recommend as the IDE for the lab. Without spoiling too much, as we can see in our next section, we will need some infrastructure code that will set it up a Kafka cluster for our use in the lab. For this, we will use Docker Compose. That’s it! now that we have our infrastructure code ready, let’s begin the actual coding. In our lab, we will create 2 streams. One of them will read data from a file and publish to a Kafka topic. The other one will read from this same topic and save the message on other files, this way demonstrating the flow of data from a point A to a point B.
Let’s begin by creating the first stream, which is a simple stream that will read data (accounts in our case) from a file and send to Kafka. At first, let’s code the stream in the main code itself and evolve as we develop. Now that we have coded our first stream, let’s create our second stream. Don’t you worry about the messing code right now, we will refactor later when implementing error handling using actors. Now, let’s create our second stream. This stream will read from Kafka and generate two files, one with personal data and another with address data. For this, we will use a graph stage, that will make the file write in parallel. We will disable autocommit for Kafka consumption and commit only at the end. Finally, let’s create our graph stage. Notice the ~> symbol? That symbol is used inside the graph stage builder to create the stage flow. This allows us to code flows in a visual manner, making a lot simpler to design stream flows. On our stage, we created two flows that executed in parallel a broadcast, each one passing through one value from the original input message. In the end, we use zip to generate a tuple from the two objects that will be passed to the next stage. Finally, let’s create our stream, which will be using the graph stage as part of the stream. I promise this will be the last time we will see that big messy main object: next section we will start refactoring. Now, let’s refactor this code to be more maintainable and introduce error handling. In order to easier error handling, we will move our streams to actors. Them we will create a supervisor, defining what to do when an error occurs. On this actor, we just moved our configurations and created a receive method. On that method, we created a message case that it is fired at actor startup, making the actor starting up the stream as soon it is instantiated. If we run the application again, we will see that it runs just like before, proving our refactoring was a success. Now that our code is better organized, let’s introduce a supervisor to guarantee error handling. We will define a supervisor strategy in our actors and backoff policies to make the actors restart gradually slower as errors repeat, for example, to wait for Kafka to recover from a shutdown. On our code, we now defined backoff policies that start restarting after 3 seconds, all up to 30 seconds, randomly scaling up the time between retries after each retry. As supervisor policy, we defined a OneForOne strategy, meaning that if one of the actors restart, only the faulty actor will be affected by the policy. Finally, we define a simple policy where any errors that occur will be logged and the actor will be restarted. Since errors in the stream will also escalate to the encapsulating actor, this means that errors in the stream will also make the actor fail, causing a restart. [INFO] [12/28/2018 22:23:54.236] [akka-streams-lab-akka.actor.default-dispatcher-4] [akka://akka-streams-lab/system/kafka-consumer-1] Message [akka.kafka.KafkaConsumerActor$Stop$] without sender to Actor[akka://akka-streams-lab/system/kafka-consumer-1#1868012916] was not delivered. dead letters encountered. If this is not an expected behavior, then [Actor[akka://akka-streams-lab/system/kafka-consumer-1#1868012916]] may have terminated unexpectedly, This logging can be turned off or adjusted with configuration settings ‘akka.log-dead-letters’ and ‘akka.log-dead-letters-during-shutdown’. [ERROR] [12/28/2018 22:23:54.236] [akka-streams-lab-akka.actor.default-dispatcher-5] [akka://akka-streams-lab/user/Kafka-exporter/Kafka-Exporter-actor] I received a error! Goodbye cruel world! If we just keep watching, we will see this cycle endless repeating, as streams are restarted, they fail to connect to Kafka and the poison pill is swallowed again. We will see that after Kafka returns, the streams will resume to normal. And that concludes our error handling code. Of course, that it is not all we can do in this field. Another interesting error handling technique that can be used in some cases is recovering, where we can define another stream to be executed in case of a failure, as a circuit breaker. This can be seen in more detail here. Finally, to wrap it up, we will see how to test our streams. Automated tests are important to code’s sturdiness, also allowing CI pipelines to be implemented efficiently. Streams can be tested by using probes to run the streams and check the results. Let’s start by creating a test for the converter flow that generates accounts from csv lines – the rest of the code would just be testing third-party libraries so we will focus on our own code only – and next, we will test our graph stage. On our tests, we will use several traits to add support to several features we will/can use. It is good practice to join all traits inside a single one so our test classes won’t have a big single line of trait declarations. val csv = "1,\"alexandre eleuterio santos lourenco 1\",\"43456754356\",36,\"Single\",\"+5511234433443\",\"21/06/1982\",\"Brazil\",\"São Paulo\",\"São Paulo\",\"false st\",3134,\"neigh 1\""
On this code, we create a probe that waits for a message containing the Account converted from the flow and a “completed” message, that the sink will emit at the end. The 2 seconds timeout is to control how much time the probe will wait for a message to come. On this code, again we wait for the probe to receive messages. In this case, we first receive the Done object from Kafka commit – in this case, we create a mock object in order to allow us to run tests without Kafka – and next receive our good old “completed” message. Finally, we test if our mock was called, to assure that the flow is committing messages back to Kafka after processing. Of course, this was just a tiny taste of what can be done with Akka’s Testkit. The probe we used just for sinks can also be used for sources as well and just like we test streams, it is also possible to test actors communicating with each other in an actor solution, for example. In the references section, it is possible to get links to all documentation supplied to this and other subjects observed on this article. Akka Event Bus: A built-in publisher-subscriber event bus inside Akka, Allows us to implement broadcasting of messages inside actor solutions. In the references section, it is possible to find links for this and more! Special thanks to Iago David Santos (LinkedIn), which revised this article and pointed some things. Thanks, Iago! And that concludes our article. With a great toolkit and sturdiness, Akka Streams is a great tool to be considered when coding integrations, APIs and more. Thank you for following me again on this article, until next time! Hello, dear readers! welcome to my blog. On this post, we will learn about AWS Lambda, a serverless architectural solution that enables us to quickly deploy serverless back-end infrastructures. But why using this service, instead of good old EC2s?Let’s find it out! Alongside the benefits of developing a back-end using the serverless paradigm – which can be learned on more detail on this other post of mine – another good point on using AWS is pricing. When deploying your application with a EC2, be a on-demand, spot or reserved one, we are charged by hour. This is true even if our application is not called at all during that hour, resulting on wasted resources and money. With AWS lambda, Amazon charge us by processing time, as such, it only charges us the time spent on lambdas execution. This results on a much cleaner architecture, where less resources and money are spent. This post details the case on more detail. AWS Lambda development is based on functions. When developing a lambda, we develop a function that can run as a REST endpoint – served by Amazon API Gateway – or a event processing function, running on events such as a file been uploaded to a S3 bucket. However, not all is simple on this service. When developing with AWS Lambda, two things must be kept in mind: cold starts and resource restrictions. Cold starts consist of the first time a lambda is called, or after some time is passed and the server – behind the scenes, obviously there are servers that runs the functions, but this is hidden from the user – used to run the lambda is already down due to inactivity. Amazon has algorithms that make the server be up and serving as long as there is a consistent frequency of client calls, but off course, from time to time, there will be idle times. When a cold start is made, this causes the requests to have a more slow response, since it will wait for a server to be up and running to run the function. This can be worsen if clients have low timeout configurations, resulting on requests failing. This should be taking on account when developing lambdas that act as APIs. Another important aspect to take note are resource restrictions. Been designed to be used for small functions (“microservices”), lambdas have several limitations, such as amount of memory, disk and cpu. This limits can be increased, but only by a small amount. This link on AWS docs details more about the limits. One important limit is the running time of the lambda itself. A AWS Lambda can run at most 5 minutes. This is a important limit to understand the nature of what lambdas must be in nature: simple functions, that must not run by long periods of time. If any of this limits are reached, the lambda will fail his execution. For this lab, we will use a framework called Serverless. Serverless is a framework that automates for us some tasks that are a little boring to do if developing with AWS Lambda by hand, such as creating a zip file with all our sources to be uploaded to S3 and creating/configuring all AWS resources. Serverless uses CloudFormation under the hood, managing resource creation and updates for us. For programming language, we will use Python 3.6. To install Serverless, please follow this guide. This command will create a new Serverless project, using a initial template for our first Python lambda. Let’s open the project – I will be using PyCharm, but any IDE or editor of choice will suffice – and see what the framework created for us. Serverless created a simple project structure, consisting of a serverless YAML file and a Python script. It is on the YAML that we declare our functions, the cloud provider, IAM permissions, resources to be created etc. The dictionary returned by the function is the standard response for a lambda that acts as a API, proxied by AWS API Gateway. For now, let’s leave the script as it is, as we will add more functions to the project. Let’s begin by adding the Dynamodb table we will use on our lab, alongside other configurations. We added a resources section, where we defined a dynamodb table called product and defined a atribute called id to be key in table’s items. We also defined the stage and region to be collected as command-line options – stages are used as application environments, such as QA and Production. Finally, we defined that we want the deploys to use a IAM profile called personal. This is useful when having several accounts on the same machine. During the deployment, Serverless generated a zip file with all our resources, uploaded to a bucket, created a CloudFormation stack and deployed our lambda with it, alongside the necessary permissions to run. It also created our dynamodb table, as required. Now that we have our stack and table, let’s begin by creating a group of lambdas to implement CRUD operations on our table. PS: the rest api id was intentionally masked by me for security reasons. Later on our lab we will learn how to test our lambdas. For now, let’s learn how to create our last lambda, the one that will read from S3 events. You may notice that we iterate over a list to read bucket files. That’s because AWS can bulk S3 changes to call our lambda fewer times, so we need to read all references that are sent to us. Before moving on to serverless.yml changes, we need to install a plugin called serverless-python-requirements. This plugin is responsible for adding our pip requirements to lambda packaging. PS: because of the plugin, is now needed to have Docker running on deployment. This is because the plugin uses Docker to compile Python packages that requires OS binaries to be installed. The first time you run it, you may notice the process ‘hangs’ at docker step. This is because is downloading the docker image, which is quite sizeable (about 600Mb). All we had to do is add IAM permissions to the bucket and define the lambda, adding a event to fire at object creations on the bucket. It is not needed to add the bucket to the resource creation section, as Serverless will already create the bucket as we defined that will be used by a lambda on the project. Now that we have all our lambdas developed, let’s learn how to test locally and invoke our lambdas from different locations. PS: Before running, don’t forget to set the AWS_PROFILE env variable to your profile. Behind the hood, Serverless is creating a emulated environment as close as it gets to AWS lambda environment, using the permissions described on the YAML to emulate the permissions set for the function. It is important to notice that the framework doesn’t guarantee 100% accuracy with a real lambda environment, so more testing in a separate stage – QA, for example – is still necessary before going to production. To test with AWS API gateway interface, is pretty simple: simply navigate to API Gateway inside Amazon console, then select prod-MyAmazingAWSLambdaService API, navigate to the POST endpoint for example, and select the TEST link. Proving our API is successfully deployed for consuming! In our previous example, our API is exposed without security to the open world. Of course, on a real scenario, this is not good. It is possible to integrate lambda with several security solutions such as AWS Cognito, to improve security. In our lab, we will use basic API token authentication provided by AWS API gateway. After the call, we will receive again the saved successfully response, proving our configuration was successful. And so we concluded our tour through AWS Lambda. With a simple and intuitive approach, it is a good option to deploy applications back-ends following the microservices paradigm. Thank you for following me on this post, until next time. Hi, dear readers! Welcome to my blog. On this post, we will learn about Apache Kafka, a distributed messaging system which is being used on lots of streaming solutions. This article will be divided on several sections, allowing the reader to not only understand the concepts behind but also a lab to exercise the concepts in practice. So, without further delay, let’s begin! Kafka is a distributed messaging system created by Linkedin. On Kafka, we have stream data structures called topics, which can be consumed by several clients, organized on consumer groups. This topics are stored on a Kafka cluster, where which node is called a broker. Kafka’s ecosystem also need a Zookeeper cluster in order to run. Zookeeper is a key-value storage solution, which on Kafka’s context is used to store metadata. Several operations such as topic creation are done on Zookeeper, instead of in the brokers. The main difference from Kafka to other messaging solutions that utilizes classic topic structures is that on Kafka we have offsets. Offsets act like cursors, pointing to the last location a consumer and/or producer has reached consuming/producing messages for a given topic on a given partition. Partitions on Kafka are like shards on some NOSQL databases: they divide the data, organizing by partition and/or message keys (more about this when we talk about ingesting data on Kafka). On the diagram, we can see a topic with 2 partitions. Each little rectangle represents a offset pointing to a location on the topic. On the producer side, we can see 2 offsets pointing to the topic’s head, showing our producer ingesting data on topic. On Kafka, each partition is assigned to a broker and each broker is responsible for delivering production/consumption for that partition. The broker responsible for this is called a partition leader on Kafka. How many partitions are needed for a topic? The main factor for this point is the desired throughput for production/consumption. Several factors are key for the throughput, such as the producer ack type, number of replicas etc. Too much partitions are also something to take care when planning a new topic, as too much partitions can hinder availability and end-to-end latency, alongside memory consumption on the client side – remember that both producer and consumer can operate with several partitions at the same time. This article is a excellent reference for this matter. On the consumer side, we see some interesting features. Each consumer has his own offset, consuming data from just one partition. This is a important concept on Kafka: each consumer is responsible for consuming one partition on Kafka and each consumer group consumes the data individually, that is, there is no relation between the consumption of one group and the others. We can see this on the diagram, where the offsets from one group are on different positions from the others. All Kafka offsets are stored on a internal topic inside Kafka’s cluster, both producer and consumer offsets. Offsets are committed (updated) on the cluster using auto-commit or by committing manually on code, analogous as relational database commits. We will see more about this when coding our own consumer. As we can see, on this case, we end up with idle consumers, that won’t process any messages until a new partition is created. This is important to keep in mind when setting a new consumer on Kafka, as increasing too much the number of consumers will just end up with idle resources not been used at all. One of the key features on Kafka is that it guarantees message ordering. This ordering is done on the messages within the same partition, but not on the whole topic. That means that when we consume data from Kafka with our consumers, the data across the partitions is read on parallel, but data from the same partition is read with a single thread, guaranteeing the order. IMPORTANT: As stated on Kafka’s documentation, it is not recommended to process data coming from Kafka in parallel, as it will scramble the messages order. The recommended way to scale the solution is by adding more partitions, as it will add more threads to process data on parallel, without losing the ordering inside the partitions. Partitions on Kafka are always written on a single mount point on disk. They are written on files, that are splitted when they reach a certain amount of data, or a certain time period – 1GB or 1 week of data respectively by default, whatever it comes first – that are called log segments. The more recent log segment, that represents the data ingested up to the head of the stream is called active segment and it is never deleted. The older segments are removed from disk according to the retention policies configured. In order to guarantee data availability, Kafka works with replicas. When creating a topic, we define how much replicas we want to have for each partition on the topic. If we configure we want 3 replicas, for example, that means that for a topic with 2 partitions, we will have 6 replicas from that topic, plus the 2 active partitions. Kafka replicates the data just like we would do by hand: brokers that are responsible for maintaining the replicas – called partition followers – will subscribe for the topic and keep reading data from the partition leader and writing to their replicas. Followers that have data up-to-date with the leader are called In-Synch replicas. Replicas can become out of synch for example due to network issues, that causes the synching process to be slow and lag behind the leader to a unacceptable point. When a rebalance occurs, for example if a broker is down, all the writing/reading from partitions that broker was a partition leader are ceased. The cluster elects a new partition leader, from one of the IS (In-Synch) replicas, and so the writing/reading is resumed. During this period, applications that were using the old leader to publish data will receive a specific error when trying to use the partition, indicating that a rebalance is occurring (unless we configure the producer to just deliver the messages without any acknowledgment, which we will see in more detail on the next sections). On the consumer side, it is possible to implement a rebalance listener, which can clean up the work for when the partition is available again. It is important to notice that, as a broker is down, it could be possible that some messages won’t be committed, causing messages to be processed twice when the partition processing is resumed. What happens if a broker is down and no IS replicas are available? That depends on what we configured on the cluster. If unclean election is disabled, then all processing is suspended on that partition, until the broker that was down comes back again. If unclean election is enabled, then one of the brokers that were a follower is elected as leader. Off course, each option has his advantages: without unclean election, we can lose the partition in case we can’t restart the lost broker, but with unclean election, we risk losing some messages, since their offsets will be overwritten by the new leader, when new data arrives at the partition. If the old leader comes back again, it will resume the partition’s processing as a new follower, and it will not insert the lost messages in case of a unclean election. On this section, we will learn the internals that compose a Kafka producer, responsible for sending messages to Kafka topics. When working with the producer, we create ProducerRecords, that we send to Kafka by using the producer. All the fields from the ProducerRecord must be serialized to byte arrays before sent to Kafka, so that’s exactly what is done by the Serializer at the first step of our sending – we will see later on our lab that we always define a serializer for our keys and value – , after that, the records are sent to the Partitioner, that determines the partition to send the message. The Partitioner then send the message to bulk processes, running on different threads, that “stack” the messages until a threshold is reached – a certain number of bytes or a certain time without new messages, whatever it comes first – and finally, after the threshold is reached, the messages are sent to the Kafka broker. Let’s keep in mind that, as we saw before, brokers are elected as partition leaders for partitions on topics, so when sending the messages, they are sent directly to the partition leader’s broker. Which one to use? That depends on the characteristics of the solution we are working with. A ack=0 could be useful on a solution that works with lots of messages that are not critic in case of losses – monitoring events, for example, are short-lived information that could be lost at certain degree – unlike, for example, bank account transactions, where ack=all is a must, since message losses are unacceptable on this kind of application. On this section, we will learn the internals that compose a Kafka consumer, responsible for reading messages from Kafka topics. When we request a Kafka broker to create a consumer group for one or more topics, the broker creates a Consumer Group Coordinator. Each broker has a group coordinator for the partitions it is the partition leader. This component is responsible for deciding which consumer will be responsible for consuming which partitions, by the rules we talked about on the offsets section. It is also responsible for checking consumers health, by establishing heartbeat frequencies to be sent at intervals. If a consumer fails to send heartbeats, it is considered unhealthy, so Kafka delegates the partitions assigned to that consumer to another one. The consumer, on his turn, uses a deserializer to convert the messages from byte arrays to the required types. Like with the producer, we can also use several different types of out-of-box deserializers, as well as creating our own. IMPORTANT: Kafka consumer must always run on the main thread. If you try to create a consumer and delegate to run on another thread, there’s a check on the consumer that will thrown a error. This is due to Kafka consumer not been thread safe. The recommended way to scale a application that consumes from Kafka is by creating new application instances, each one running his own consumer on the same consumer group. One important point to take note is that, when a message is delivered to Kafka, it only becomes available to consume after it is properly replicated to all IS replicas for his respective partition. This is important to ensure data availability, but it also means that messages can take a significant amount of time to be delivered for consuming. Kafka works with the concept of back-pressure. This means that applications are responsible for asking for new chunks of messages to process, allowing clients to process data at their paces. Like when we talked about acknowledgement types, the best commit strategy to be used depends on the characteristics of the solution been implemented. session.timeout.ms: This property defines the time limit for which a consumer must sent a heartbeat to still be considered healthy. The default is 3 seconds. IMPORTANT: heartbeats are sent at each polling and/or commits made by the consumer. This means that, on the poll loop, we must be careful with the processing time, as if it passes the session timeout period, Kafka will consider the consumer unhealthy and it will redeliver the messages to another consumer. Well, that was a lot to cover. Now that we learned Kafka main concepts, let’s begin our hands-on Kafka and learn what we talked in practice! Unfortunately, there is no official Kafka Docker image. So, for our lab, we will use Zookeeper and Kafka images provided by wurstmeister (thanks, man!). At the end, we can see links for his images. On our repo’s lab there is also a convenient bash script that set up a 3 node Kafka cluster without the need to enter the commands above every time. This will return a list of topics that exist on Zookeeper, on this case, “test”. The code is very simple. We just defined the addresses from 2 brokers of our cluster – docker composer will automatically define ports for the brokers, so we need to change the ports accordingly to our environment first – , key and value serializers and set the acknowledgement type, on our case all, marking that we want all replicas to be made before confirming the commit. PS: Did you noticed the get() method been called after send()? This is because the send method is asynchronous by default. As we want to wait for Kafka to write the message before ending, we call get() to make the call synchronous. Now that we have our producer implemented, let’s move on to the consumer. On wrapper, we subscribed to our test topic, configuring a ConsumerGroup ID and deserializers for our messages. When we call the subscribe method, ConsumerGroupCoordinators are updated on the brokers, making the cluster allocate partitions for us on topics we asked for consumption, as long as there is no more consumers than partitions, like we talked about previously. Then, we create the consume method, which has a infinite loop to keep consuming messages from topic. On our case, we just keep calling the poll method, which returns a List of messages – on default settings, up to 100 messages -, print keys and values of messages and keep polling. At the end, we close the connection. On our example, we can notice we didn’t explicit commit the messages at any point. This is because we are using default settings, so it is doing auto-commit. As we talked previously, using auto-commit can be a option on some solutions, depending on the situation. System.out.println("Please select operation" + "
If we run our code, we will see some interesting output on console, such as the consumer joining the ConsumerGroupCoordinator and been assigned to partitions. At the end it will print the messages we send as the producer, proving our coding was successful. (id: 2147482645 rack: null) for group MyConsumerGroup. On our examples, we delegate to Kafka which partitions the consumers will consume. If we want to specify the partitions a consumer will be assigned to, we can use the assign method. It is important to notice that this approach is not very recommended, as consumers won’t be replaced automatically by others when going down, neither new partitions will be added for consuming before been explicit assigned to a consumer. When consuming from a topic, we can scale consumption by adding more instances of our application, by parallelizing the processing. Let’s see this on practice. This show us the power of Kafka ConsumerGroup Coordinator, that takes care of everything for us. Of course, this is just a mock implementation. On a real implementation, we would be doing tasks such as committing offsets – if we buffered our commits on blocks before committing instead of committing one by one, that would turn out to be a necessity -, closing connections, etc. PS: Kafka works rebalancing by revoking all partitions and redistributing them. That’s why we see the first consumer losing all partitions before been reassigned to one of the old ones. Log compaction is a powerful cleanup feature of Kafka. With log compaction, we define a point from which messages from a same key on a same partition are compacted so only the more recent message is retained. On the command above, we set the compaction entry point – min.compaction.lag.ms – to 30 minutes, so all messages from the head of the stream to 30 minutes after will be on the dirty section. The other config stablished a retention period of 48 hours, so from 30 minutes up to 48 hours, all messages will be on the clean section, where compaction will occur. Messages older than 48 hours will be removed from the stream. One last thing we need to know before moving on to our next topic is that compaction also allows messages to be removed. If we want a message to be completely removed from our stream, all we need to do is send a message with his key, but with null as value. When sent this way with compaction enabled, it will remove all messages from the stream. This kind of messages are called tombstones on Kafka. Kafka connect is a integration framework, like others such as Apache Camel, that ships with Kafka – but runs on a cluster of his own – and allows us to quickly develop integrations from/to Kafka to other systems. It is maintained by Confluence. Kafka Streams is a framework shipped with Kafka that allows us to implement stream applications using Kafka. By stream applications, that means applications that have streams as input and output as well, consisting typically of operations such as aggregation, reduction, etc. A typical example of a stream application is reading data from 2 different streams and producing a aggregated result from the two on a third stream. Now that we covered most of the developing code to use Kafka, let’s see how to administrate a Kafka cluster. All commands for Kafka administration are done by their shell scripts, like we did previously on our study. IMPORTANT: changing partition numbers on topics also can change partition logic, meaning messages that always were sent to a same partition A can be now always sent to a partition B. This is important to watch out as can lead to message ordering issues if not taken with care. The first operation we will see is preferred replica election. When Kafka creates a topic, at first, the partition leaders are spread out as evenly as possible, reducing impact risks on nodes going down. However, after some time, this distribution could be compromised, due to nodes going down and up several times, inducing on several rebalances. This could be specially problematic on a small cluster. IMPORTANT: This command triggers rebalances on all topics from the cluster, so it must be used with care. PS: Before running the command, it is necessary to copy the file to the container where it will run the command. Another useful command is reassigning of replicas. This is useful, for example, if we want to isolate a broker from the cluster, that it will be removed for maintenance, or if a new broker is added and need to receive his share of topics in order to balance the cluster. As we can see on the diagram above, we have 2 consumers groups in a stream. Consumer group 1 is 3 messages from the stream’s head, while consumer group 2 is 8 messages away. This difference between head and current position of a consumer on a stream is called offset lag. It is important to test our cluster configuration, in order to verify how the cluster will behave on several situations, such as when brokers goes down – with partition leaderships or not -, new brokers goes in, etc. We can code our own tests for this intent using the VerifiableProducer and VerifiableConsumer interfaces on Apache Kafka’s APIs. The usage for this interfaces are essentially the same as the original ones we saw on our lab. And that concludes our study of Apache Kafka. I hope to have passed for the reader a solid explanation of Kafka core concepts, as well as directions for complementary studies on his different usages and applications. Thank you for following me on this post, until next time. Hi, dear readers! Welcome to my blog. On this post, last on our series, we will finally talk about the most known new feature of Java 9, Jigsaw. But after all, why do we need a module system? Let’s find out! At Java’s beginnings, we have several types of ways to encapsulate applications. There is the most generic unit, know as JAR, and there’s also other more specific formats, such as WARs for web applications and EARs for Enterprise Java Beans (EJB) applications. This applications, typically speaking, do not consist of only code that was written by the developers teams themselves: there is also a plethora of libraries and frameworks that are also imported, such as logging libraries, ORM frameworks, web frameworks, etc. Fragment of a typical Spring Boot Application dependencies list. It is 267 items long! The situation stated previously leads us to the infamous Jar hell. This term refers to all problems the developers suffer across more then 20 years of Java, such as ClassNotFoundExceptions, when the application can’t found a certain class, or NoClassDefFoundError, when there’s multiple versions of the same class and the application can’t decide which version to use. Another problem we got is encapsulation. Once a dependency is formed, all the classes from the imported package are accessible to the importer. Even if we declare a class with the default visibility access, it is still possible to access the class, just by using the same package name of the class we want to use – don’t try this at home, folks!. This leads to poor possibilities on interface designs, since we can’t really avoid certain classes to not been exposed to the outside world. Another big problem is performance. This is specially felt on Java EE containers, since servers need to support a big list of features provided for applications. It is true that we had efforts on the past to improve this situation, such as EAP profiles on JBoss server, but still, the situation was far from resolved. This results on heavy, clunky servers, that can be slow to operate and specially to initialize, alongside intensely memory demanding. To solve all the problems we saw on the previous sections, on Java 9 we got Jigsaw, the new module system for Java. With jigsaw, we can create modules from packages inside a application, allowing a much more coherent and organized structure. Not only that, with modules, we have to explicit declare what we want to expose from a module, so we also eliminate the encapsulation problems we talked about earlier. This also helps with the performance degradation we just saw, since with modules the amount of classes and packages to be loaded from the servers can be significantly reduced, resulting and thinner servers. So,let’s see how modules work on practice! Let’s start by creating a simple project. the source code for this lab is on this link, the project was created using Intellij IDEA. Our sample application will consist of 4 modules: a main module, a dao module, a service module and a model module. To create the different modules, all we have to do is create the different packages and module definitions – the module-info.java files – , creating the whole module structure. Now that we have the modules defined, let’s start coding our project. Our project will represent a simple CRUD of books, for a Bookstore system. Let’s start by coding the Model module. We will create a Book class, to represent books from the system. Next, we code the DAO module. We will create a interface and implementation for the module, separating each other by package segregation. We will also create a object factory. Here we can see a important advantage of modules: since we didn’t exported the impl package, the implementation won’t be exposed to code outside the module. Please remember that, if the reader wants it, the code of this project is on Github, on this link. One thing that the reader may notice from our code, is that we needed to import the model module on each of the other modules of our system. This is because, as said before, no dependency required by a module is automatically inherited by another module on the hierarchy. All the requirements must be explicit declared to be linked. However, on this case, if we wanted to declare the dependency on just one module and tell Java on the other modules that the dependency will be met later, we could use the static keyword. Static dependencies on Jigsaw are analogous to the provided scope on Maven, where a dependency is marked just for compilation requirements and it is assumed will be there when the code runs. If we run again our code, we will see that it runs successfully, just like before. Since it is a new concept introduced just now, there is still some work undergoing on Java’s package management frameworks, such as Maven and Gradle. Keep it in mind that the objective of Jigsaw is not to replace package management systems. Think of it more of a complement to this systems, with Jigsaw managing exposure and internal dependencies and the package systems managing issues such as packaging artifacts, running tests, etc. And so we conclude our Java 9 series. With several interesting new features, this new edition of Java proves not only that Java has still some relevance on the market, but also can still be evolved with the most modern practices on use. Thank you for following me on this post, until next time. Hi, dear readers! Welcome to my blog. On this post, we will continue our tour on Java 9, now focusing on what changed on Streams and Optionals. Another good addition was the new collectors. With them, we can now apply filters or mappers to streams inside of the collecting. Let’s see some examples. If we execute the code, we will see that it will print all the tasks except the one about walling with the dog, as we expected. If we run the code, we will see that it will print a list with just the first words from the tasks, as we expected. Another interesting new feature included was the dropwhile and takewhile operations. By using them, we can iterate sequentially on collections, discarding or including items while a predicate is not satisfied. Let’s see some examples. As we can see, it is the correct result, since we ordered the stream to drop items from our iteration while none of them are equals to “new”. Optionals also get their share of improvements. Let’s begin with our previous example from the mapping collector. If we wanted to use the same map to implement the previous stream, we would have to “extract” all the values from the optionals previous to using them on the stream. That is, until Java 9. If we run our code, we will see that it will print the list with just the first words from the tasks, just like before. And so we concluded another post from our series on the new features of Java 9. Please, stay tuned on my series, where we will talk about other features, such as the long waited Jigsaw. Thank you for following me on another post, thank you. Hi, dear readers! Welcome to my blog. This is the first post from a series focused on studying the new features from Java 9. After waiting so much time for some features like Jigsaw, the so-called Java module feature, Java 9 is finally upon us. Let’s begin our journey by exploring the new REPL console for the language, JShell! To install Java 9, I recommend following the instructions on this link. REPL is a acronym that stands for Read-Eval-Print-Loop. A REPL is a terminal where we can input commands and receive immediate feedback about the code we just entered. The code is readed, his syntax is evaluated, then executed, the results are printed on the console and finally the terminal loops for the next command, hence concluding the execution, just like the acronym dictates. jshell> String myString = "Welcome to my JShell!" myString ==> "Welcome to my JShell!" Did you noticed we didn’t defined a variable? When we don’t include one, JShell do this for us, on this case, $1. This is defined by a $ followed by the command’s index, since JShell stores the commands of our session on a array-like structure. JShell also allows us to edit and save scripts – snippets – of code, allowing us to create classes this way. Let’s see how to do it. As we can see, the code was correctly executed, proving that our class creation was a success. Now, let’s close the shell with the /exit command and open again, cleaning our session. We can see that our import was a success, successfully importing the commands from the session. Of course there are other commands alongside the ones showed on this post as well. A complete list of all the commands in JShell can be found on JShell’s documentation. And so we conclude our first glimpse on the new features of Java 9. JShell is a interesting new addition to the Java language, allowing us to quickly test and run Java code. It is not a tool for production use, on my opinion, but it is a good tool for development and learning purposes. Thank you for following me on this post, until next time.